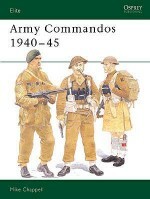 This volume assesses the formidable Special Forces fielded by Italy's navy and air force in World War II. Italian Navy Special Forces were particularly active and respected in the Mediterranean, where 10th Motor-Torpedo Boat Flotilla used frogmen, 'two-man torpedoes' and explosive ram-boats. The Italian Air Force formed a special commando unit, ADRA, before the 1943 surrender; it was tasked with attacking Allied airfields and communications in North Africa. Men from ADRA and Army paratroopers formed the new 'Folgore' Regiment, which also continued to fight alongside German forces until 1945. 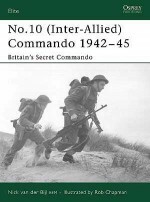 In both cases, the pro-Allied Italian forces also formed 'mirror' units to fight alongside US and British forces, including the Recce Squadron 'F'. Featuring rare photographs and specially commissioned artwork, this book tells the story of the little-known elite forces fielded by Italy's navy and air force in World War II, some of whose successors remain in service with today's Italian armed forces. Piero Crociani acts as a consultant for the Italian Army Historical Branch and is the author of several articles, essays and books on Italian military history. Amongst his published words are The Albanians in the Italian Armed Forces (Rome, 2001); The Neapolitan Army 1806-15 (Milan, 1987) and, together with Virgilio Ilari and Giancarlo Boeri, A Military History of Murat's Kingdom (1806-15) (Milan, 2007). Pier Paolo Battistelli earned his PhD in Military History at the University of Padua. 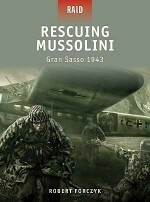 A scholar of German and Italian politics and strategy throughout World War II, he is active in Italy and abroad writing titles and essays on military history subjects. 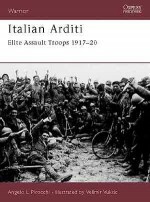 A contributor to the Italian Army Historical Office, he is currently revising his PhD thesis for publication: The War of the Axis: German and Italian Military Partnership in World War Two, 1939-1943.